3M™ Polyurethane Protective Tape 8681 3M 8681HS | Fabrico, A Division of EIS, Inc. 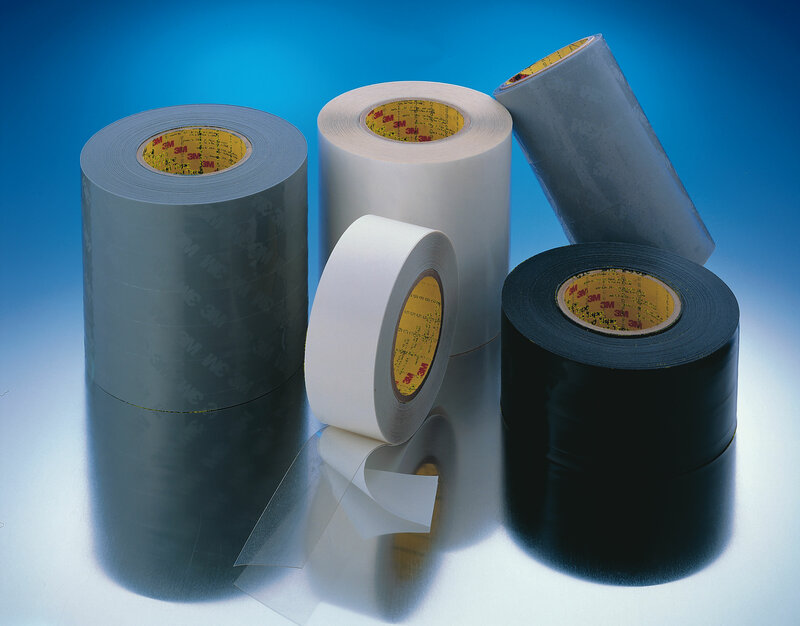 Outdoor grade polyurethane protective tape with high shear acrylic adhesive. Total thickness 0.014 inch (0.36mm). Matte surface finish. Applications include aircraft and rotor blade leading edge protection. Very tough thermoplastic polyurethane elastomer designed for outdoor applications. Abrasion, erosion, scratch, puncture, and impact resistant. Conformable to most surfaces. Provides excellent surface protection using a technology that contains no VOC`s and is fast and easy to apply. 14.0 mil outdoor grade polyurethane protective tape with high shear acrylic adhesive. Very tough thermoplastic polyurethane elastomer designed for outdoor applications. Abrasion, erosion, scratch, puncture, and impact resistant. Conformable to most surfaces. Provides excellent surface protection using a technology that contains no VOC's and is fast and easy to apply. Matte surface finish. Applications include aircraft leading edge surface protection. Outdoor grade polyurethane protective tape with high shear acrylic adhesive. Applications include aircraft and rotor blade leading edge protection.